Custom sneaker designer Dan Gamache explains his process to SI.com. Anthony Davis loves the Green Bay Packers. He loves them so much that his size 17 Air Jordan shoe will soon have an homage to all things Green Bay, and it won’t come from some online personalization. His new custom creations will come hand-painted, drawn from scratch by Dan Gamache, originator of Mache Custom Kicks. 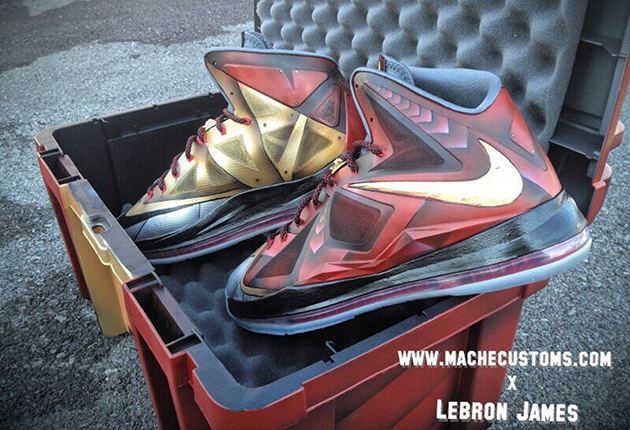 Mache, as he’s known, has painted shoes for LeBron James, Dwayne Wade, Nate Robinson, Russell Westbrook, Thaddeus Young, and more. And now Davis, through the NBA’s word-of-mouth culture, has put in his own request for a pair of Packer-themed Jordans and, well, another pair that Mache has the freedom to design. ​Mache, though, he’s the artist. When his college baseball career dissipated due to injury, he fell back on the art that his grandmother, who was a teacher, had taught him. In 2001 he saw an article about artwork on shoes and his love of sports and shoes merged with his competitive nature. He started painting shoes. Before the days of social media he was just “the white kid that paints the shoes,” but the barbershops in New York gave his work a gallery and soon his painted designs were popular enough that he could charge money for them. Then social media happened and relationships and networking took off. As his work grew, NBA players started seeing Mache’s art on sneakers and recommending him around the league. Mache is fine with that. He enjoys the challenge. The players’ desires run the gamut. LeBron wanted an Ironman-themed shoe, something he wore during warm-ups with the Heat against the Spurs in the NBA Finals. Robinson once sent him five different Jordans, requesting the same color theme across them all. And as guys get more and more crazy with their shoes in an effort to stand out, often wearing retros so they have something no other player does, the NBA has proven a touch more lenient so long as the color blocking gets close to the rules, Mache says. 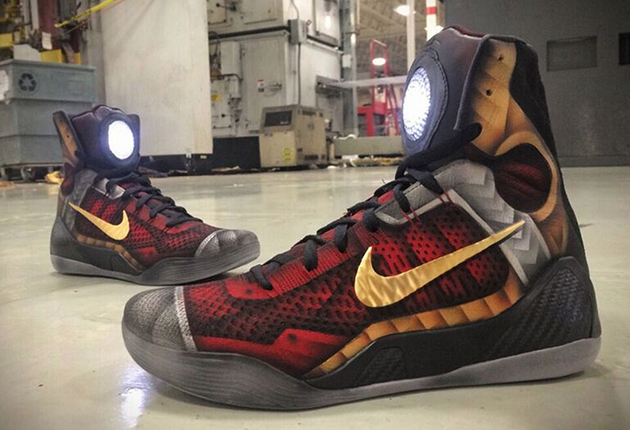 Whether on-court or casual—which usually gets a bit more personality—the process of painting a shoe remains the same. “I’m pretty much an art guy, so I’m using paints and dyes,” he says. If any reconstruction work is needed, he’ll bring in an expert to help with that, but he typically uses paintbrushes, airbrushes, and dyes to create his work.